I have my weaknesses, and one if them is the master Rancapino. Don Alonso Núñez Núñez, grandson of El Obispo and La Obispa, son of Orillito, of grace and flavor. Even on a whisper he’s able to sing like a god, as he showed us last Saturday by singing just two fandangos in Conil, where he was honored with a well-deserved tribute. However, I won’t write a review of that festival, but just tell the story of how I met this iconic star of cante jondoand the moments we shared together in the last forty years, which were many, too many to write about all of them here. If my memory doesn’t fail, the first time I listened to him performing was in a festival that took place in Triana in the late 1970s. Back then, Rancapino was a young cantaor with a very powerful voice. That evening he sang por soleá, with such enthusiasm and flavor that the stones at La Cava de Gitanos and El Zurraque trembled. I liked that performance so much, and felt so moved by it, that I wrote a letter to Miguel Acal’s radio show, Con sabor andaluz, which he read on-air. In that letter I already expressed my intention to follow that cantaor in all festivals he performed, which were many back then. One of the virtues that I admire the most in Alonso is his humility. He has never bragged about anything, even as has every right to do so, as he basically invented temple in cante. He’s able to sing extremely slowly, like Curro Romero and Rafel de Paula used to bullfight, always taking compás to the right spot, vocalizing perfectly without screaming, because raising the voice is one thing, and hawking fish is quite another. That’s something I mentioned in that letter to Miguel Acal four decades ago, and I still think it applies today: this master of Chiclana treats cante like the devout costaleros of Seville treat the sacred statues of Christ and the Virgin Mary in the Holy Week processions. When I was finally able to meet him in person and we started to greet each other in festivals and private parties, my admiration for his cante grew, because I discovered his human side. Alonso is the nicest guy, with a unique, natural grace and extraordinary kindness. If I were in charge of giving work to flamenco artists (which I’m not), I’d hire him to talk to young cantaores and performers, without any singing involved, just for him to share all the life experiences he had with the greatest flamenco artists of the last sixty years. How is it possible that Rancapino often ends up idle, staying at his home or going for walks in Cádiz? In this art we often send artists to the basement when they’re no longer in their prime or when they’re not a novelty anymore. This is a superb injustice, because Rancapino is in top shape and still sings with that unique, trademark style of his. Besides, he’s able to tell so many anecdotes and experiences (having lived them instead of having read them in a book) that hours may go by before we notice the time. The day when he’s no longer with us (because no one lives forever), people will say he was unique, brilliant, a cantaor to die for. People will talk about him like they talk about Juan Talega, Aurelio Sellés, El Chaqueta or Caracol. Lately, I’ve met him quite often and I’m amazed by his endurance when he joins his friends in social gatherings where he never leaves without singing generously. He’s broke as a joke (has any artist of his kind ever died wealthy?) but he’s rich in friends and admirers. The ladies love him too, and not long ago I’ve seen how women stopped him in the streets of Barrio de la Viña in Cádiz to take selfies with him. Rancapino is a natural Casanova, a ladies’ man full of charm, and it’s fun to watch him flirting around Cádiz. 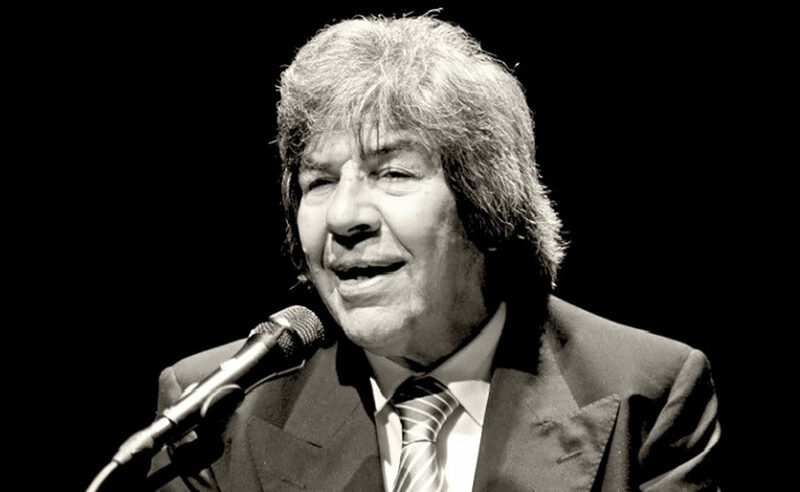 The flamenco masters, the references, are passing away, but Alonso is still with us and he still sings wonderfully. Let’s not forget about him, because one day he will no longer be with us, and memories won’t give us pellizcos.